Brian and Julia are the husband-and-wife duo behind Future Ancestor. Julia and I met at Foam to chat about their new shop on Cherokee Street. 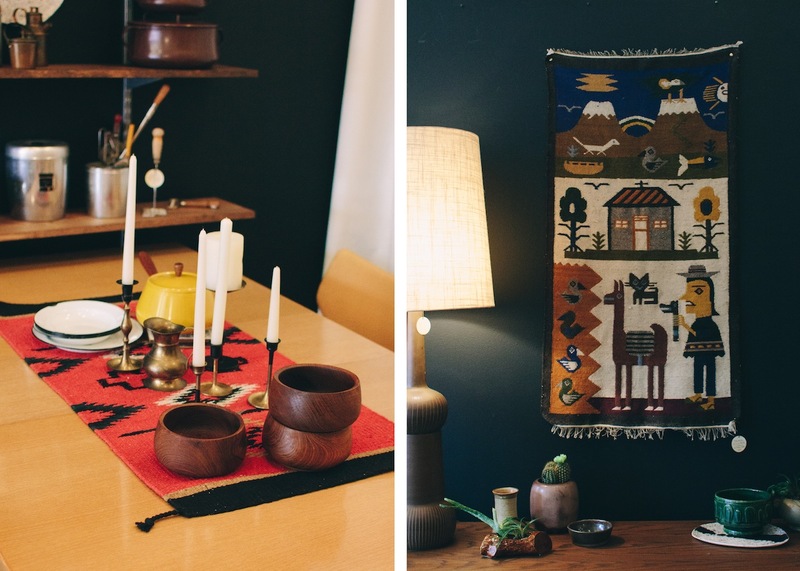 In the cozy home decor shop you’ll find a collection of mid-centry modern furniture with an eclectic mix of goods ranging from the latest issue of Kinfolk to Pendleton blankets refashioned into throw pillows. Hailing from Chicago, the couple moved to the St. Louis area not long ago with a goal to turn their Etsy shop into a brick and mortar business. How did Future Ancestor come about? A few years ago we started buying a lot of furniture. We had a tiny apartment and thought “let’s try to sell some of this stuff we have on Etsy.” We posted a couple listings and it just went crazy – we sold stuff all the time. We kept buying stuff and rotated out the furniture that we lived with and the furniture that we were selling. The idea behind Future Ancestor is sort of a live catalog. You can go into a lot of antique stores and everything is sort of piled together and you really have to dig for things, which is fun. But our shop is more about showing people how to set things up and how they can actually visualize it in their space. We want people to sit down, relax and feel it out. Have there been any pieces that you’ve bought and never parted with? There are things that we just love too much, and yes, we hold on to those things. How often have you completely turned over your apartment? About 5 times. We do it every 6 months or so. There are certain things from family members we’ve held onto that we couldn’t possibly get rid of. Why St. Louis for the shop? We had our first baby in January, 2014. We are from southern Illinois, and decided to move home to be closer to family. In May we decided to take the plunge. We’ve been long time fans of cherokee street. An add for the space popped up on craigslist, and within a week, we had the keys. Our philosophy on job security is kind of like – you can put everything in somebody else, or you can put everything in yourself. We believe in ourselves and trust we can make it happen and we’ve been doing this part time for a while, so we’re giving it full time effort. We said “see ya later” to chicago and are giving Future Ancestor a shot in St. Louis. What has been your favorite part of opening Future Ancestor? Seeing our vision come to life. We’ve been talking about doing this for years, we’ve been talking about being our own bosses forever. Here we are and it’s working, I think. It’s also amazing how supportive everyone is on Cherokee Street. 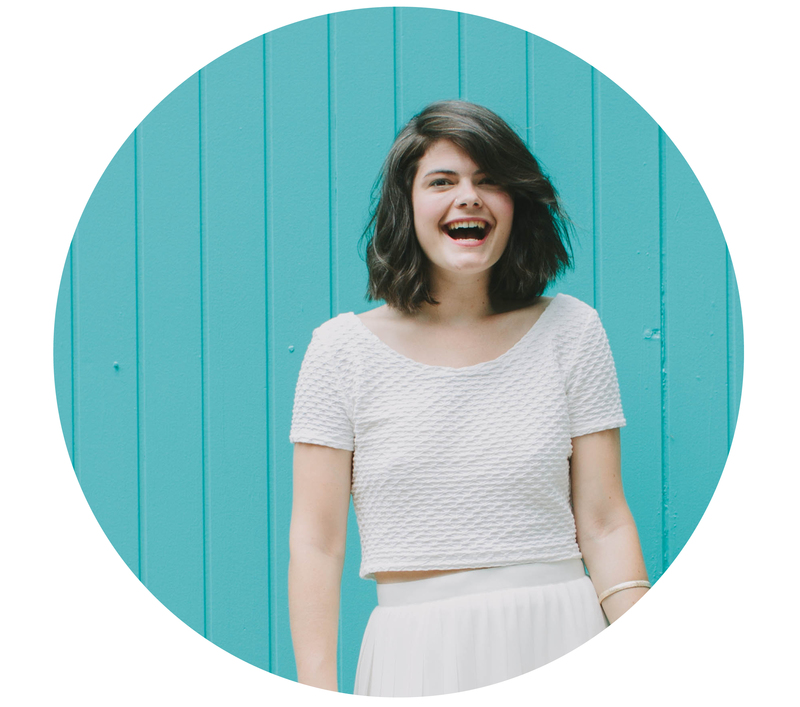 Does your personal style influence the pieces in the shop? I would definitely say the shop is all our style. We like to say that we are redefining modern. A lot of people see or hear the word modern and the think of the atomic century style, or super shiny. We like a little bit of that, but we also like to mix it with the worn stuff and handmade things. 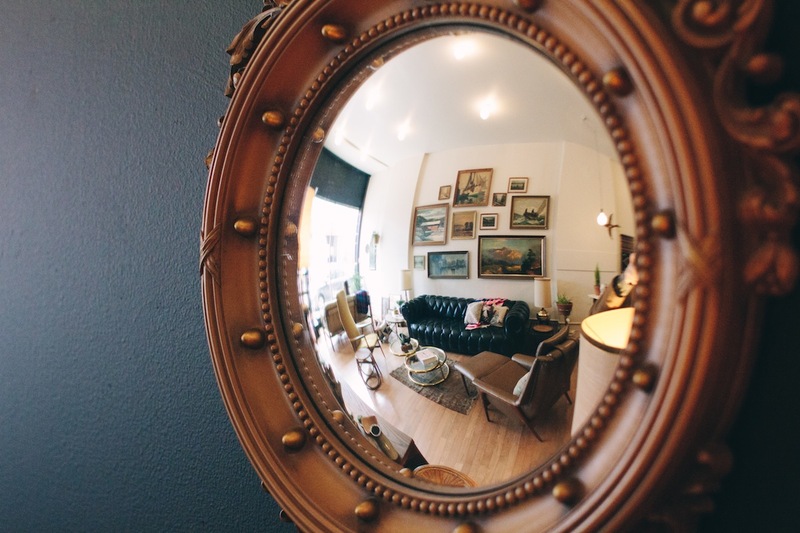 We like things that are sustainable, which is why we like the second hand stuff – there is all that great stuff out there, why buy something new. We’re all about the mix and match. 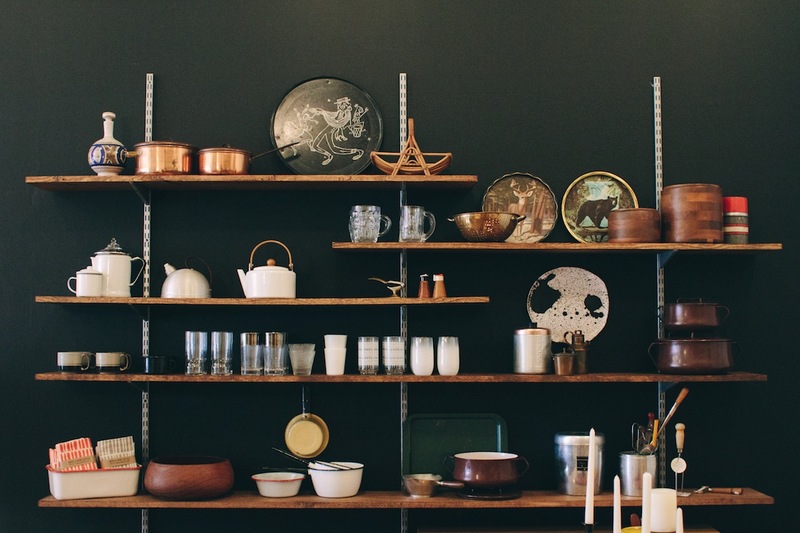 The shop has all things that we would live with, do live with, or have lived with. Do you carry local makers? We have handmade ceramics, screen printed tea towels from San Francisco, and candles from Brooklyn. We eventually would like it to feature all St. Louis makers. The moments when we realize it’s actually working. Who/what are your sources of inspiration? Humboldt House in Chicago and Homestead in Seattle. Where did the name Future Ancestor come from? Brian came up with it one day. It was the name of our Etsy shop. When we decided to open a brick and mortar shop, we thought we needed a different name, but realized Future Ancestor already works. What is the Future Ancestor motto? An example, and source, of modern living. 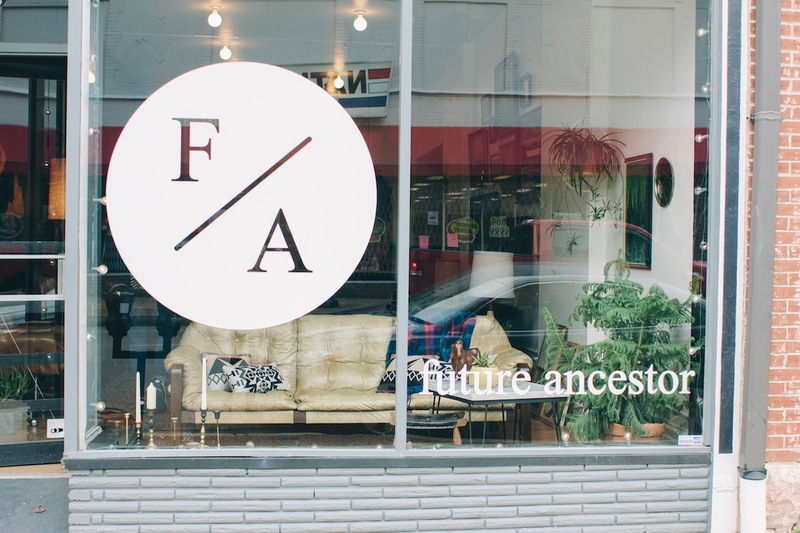 Visit Future Ancestor at 2617 Cherokee Street in St. Louis.